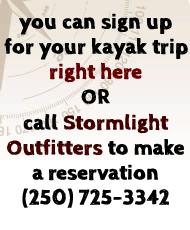 Why not take a full afternoon off to relax and experience Tofino in your kayak? 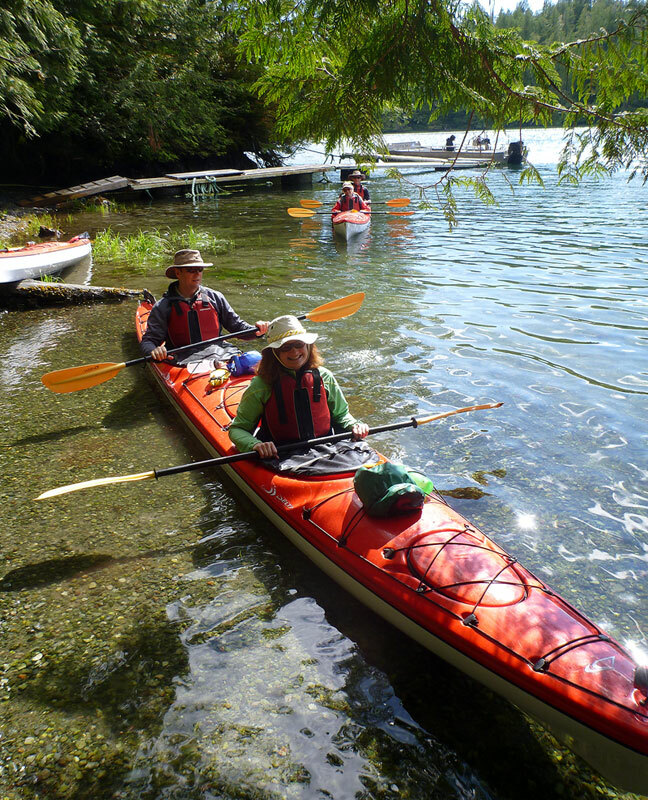 As part of this beginner-friendly kayak adventure you will experience the spiritual energy of the ancient Big Tree Trail on Meares Island. After we explored some of Tofino's Inlet by kayak, we will land on Meares Island. The following hike leads us over approx. 500 meters of boardwalk through majestic rain forest containing 1800 year old trees and a unique flora and fauna. This hiking part of our kayak tour usually takes about 45 minutes. * An additional $3 Tla-o-qui-aht Tribal Park trail fee for participant use and maintenance of the site will be charged at check-in.